All designs are owned by or licensed to Nifty Creations/Neva Brown. All material is protected by Australian and International Copyright and other intellectual property laws. Users may not do anything which interferes with or breaches those laws or the intellectual property rights in the material. By purchasing any product, downloading the files or breaking the seal on the CD ROM, you are agreeing to comply with, and be bound by the terms and conditions of use, which govern Nifty Creations relationship with you in association with this product. Nifty Creations/Neva Brown will have no liability in relation to any loss, damage or injury which you incur, arising from your use of this product. Tutorials will not be accepted for return or exchange. Finished jewellery will not be accepted for returns for health and safety reasons. Returns for beading components are accepted at pro rata, less 10% handling fee, for exchange or credit towards future purchases on selected items. Items must be returned within 7 days of receipt of goods, in the original packaging & condition, with a copy of the invoice. We recommend you post items back to us via insured/registered mail, as we hold no responsibility should your parcel be lost in transit. We do not credit for shipping charges either way. No returns/exchanges accepted on incorrect choice of product. Please choose your items carefully. Claims for defective or missing items must be made within 7 days from receipt of the goods. No claims will be accepted after 7 days. You agree to the purchase of this product for your personal use only. You agree to not share our tutorials with family, friends or strangers in public, private or in a classroom environment. You agree to give credit to the original designer/s i.e. Nifty Creations or Neva Brown when showing the finished item/s, whether in person or in the online environment. From time to time, our Policies will be reviewed and revised. 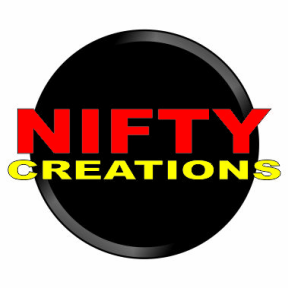 Nifty Creations reserves the right to change the policy at any time and notify you by posting an updated version of this policy on its website. The policy is subject to change without notice.